Lucy is held up at gunpoint in her home, getting away with $1.19 plus her TV set. 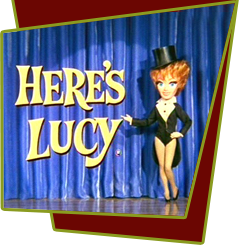 When a detective comes to visit her at work the next day advising that she install an expensive burglar alarm, Lucy wants to borrow the needed funds from Harry. After cheap Harry declines Lucy's loan, she gets Craig to install a home-made alarm system. The trap naturally catches Harry as well as getting Lucy and the Detective snared together. Special Notes: The intricate special effects for the burglar alarm make the cast tense and nervous, as a wrong cue will cost thousands of dollars in retakes, which will not make Lucille happy. Thankfully, it is all done perfectly in one take.